Membership and Event Management Website and Mobile App for Everyone! Get where you want to go within seconds. Ask anyone, “Best Ever” customer service. Contact a member in seconds. 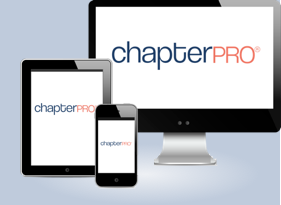 Since 2009, ChapterPRO is made for you, implementing only those features requested from members and administrators. It’s the user-friendly smart solution to effectively manage, grow and connect your membership.